Located at the entrance to The Avenues, Hakkasan Dubai will feature an intimate restaurant and vibrant bar, segregated by intricate carved wooden screens and latticing; which echo the rich and glamorous interiors of the London flagship restaurant. 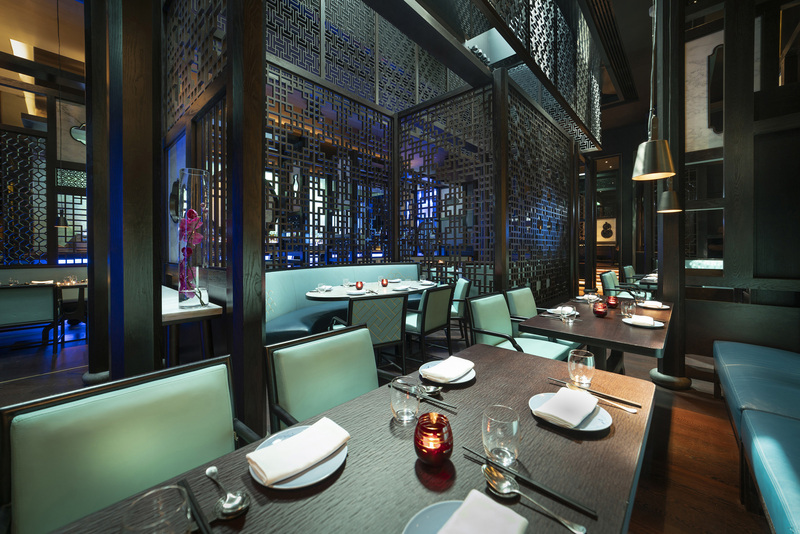 Calmness, tranquility and humility are translated into an elegant atmosphere true to Hakkasan’s Chinese roots. Hakkasan Dubai will be open daily for dinner from 6pm-11.30pm. The bar will be open from 5pm-1am. Dress code is smart causal, and jeans are permitted as long as they are worn smartly with shoes and a collared shirt. The main dining area is open to guests of all ages until 7PM. After 7PM, guests must be 10 years of age or older. Complimentary valet parking is provided.